^ Alexandra Monchick (2012). 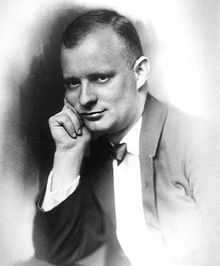 “Paul Hindemith and the Cinematic Imagination”. The Musical Quarterly 95 (4): 510-548. doi:10.1093/musqtl/gds029. JSTOR 23391644. ^ Howard Boatwright (1964). “Paul Hindemith as a Teacher”. The Musical Quarterly 50 (3): 279-289. JSTOR 741016. Kater, Michael H. 1997. "The Twisted Muse: Musicians and Their Music in the Third Reich". New York and Oxford: Oxford University Press. Kater, Michael H. 2000. "Composers of the Nazi Era: Eight Portraits". New York and Oxford: Oxford University Press. Taylor-Jay, Claire. 2004. "The Artist-Operas of Pfitzner, Krenek and Hindemith: Politics and the Ideology of the Artist". Aldershot: Ashgate.